Customized wedding designs using the freshest available materials to match your vision and artistry. Have beautiful floral arrangements for your most important day that will create a lasting impression. 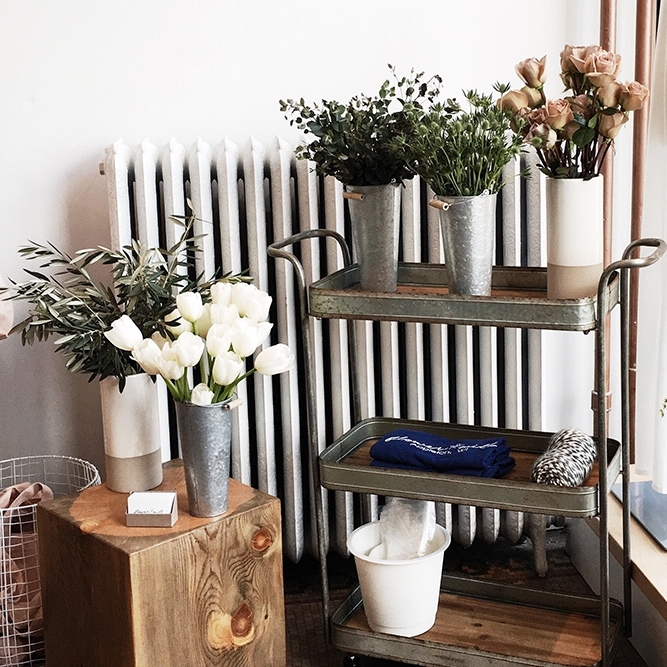 Flower Mill offers a unique array of bohemian, organic, urban, eclectic and natural aesthetic bouquets and wedding work to the Midwest and beyond. $1,250.00 minimum on wedding party orders. $2,750.00 minimum on full wedding orders. Learn to create beautiful arrangements in a group setting. We offer four seasonal public workshops where you can learn how to design like a professional. We provide all supplies, materials beverages and snacks for a fun, educational, hands on course. Head over to the events page to see when the next workshops are! We also offer workshops in the privacy of your own home. Gather your friends, family members, or co-workers, for a private session on the topic of your choice. Some of the events we accommodate are birthday parties, bridal showers, girls night out, or just because. Flower Mill offers a unique experience for guests attending any event. Available for both private parties as well as commercial events such as grand openings, sale days, or special promo offers. Flower Bar is a stunning mobile set up which includes everything needed to create custom floral cocktails. Floral packages can be customized based on your color palette or theme. Each attendee will leave with a mini floral arrangement inside our eco-friendly pinewood cones. Flower Mill will help you along the way when hosting a dinner party or event. Gather your decor and leave the design elements to the pro! See all the details of your important event come to life. Intimate engagement parties, rehearsal dinners, birthday parties, baby and bridal showers. Our designer creates stunning tablescape floral, installations and decor for all your special events. Customize your photo shoot by using fresh floral props. Newborn and Maternity photography, engagement shoots, fashion or styled shoots, you name it, we can create something timeless and unique. Botanical accents, backdrops, floral crowns and accessories, floral hoops and other unique designs custom to your vision. Flower Mill offers a wide range of decor options to fit all of your creative needs. Send a floral arrangement to a friend or family member who is celebrating a milestone or needs some love! We offer delivery in the Fox Valley area to both commercial and residential addresses. Create soft accents in your office or establishment by adding fresh floral to your lobby or reception area. Flower Mill offers scheduled deliveries in weekly and bi-weekly frequencies. Pricing is based on size of arrangement requested, with a $55.00 minimum of each delivery.